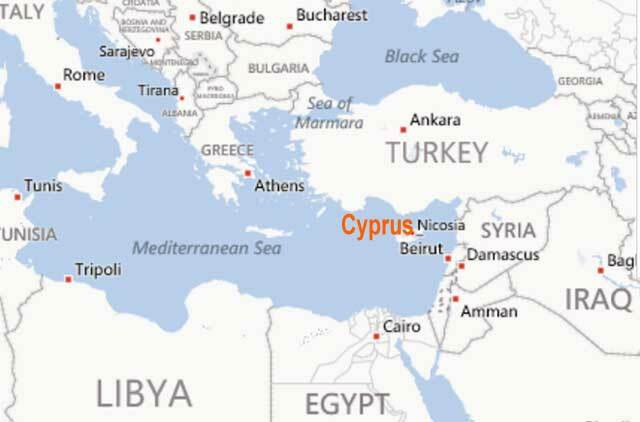 Cyprus lies in a very favourable location at the eastern end of the Mediterranean sea, on a migration and trading route linking west to east which has contributed to its wealth and diversity over countless centuries. 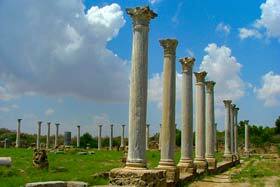 Turkey, its nearest neighbour, is just 75km to the north and Syria 97km to the east. It is very southerly too. 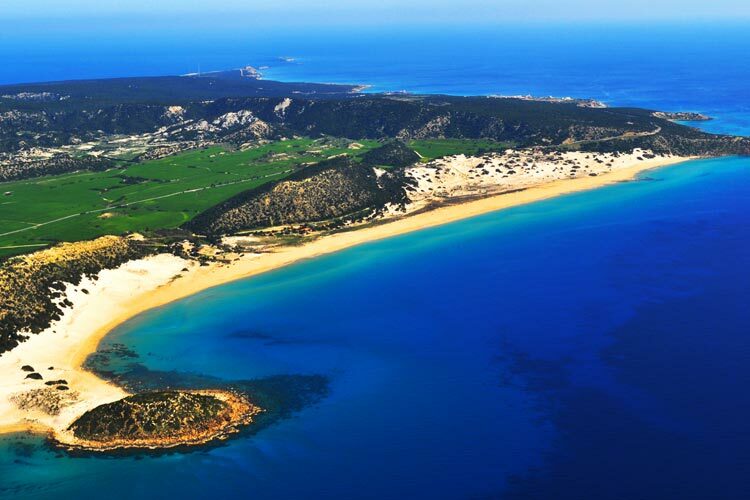 The 35th parallel runs through the island just south of Famagusta. Further west, the same parallel runs through the top of North Africa but below the Iberian Peninsula. Of all the countries in Europe, only Madeira and the Canary islands lie further south. With an area of 9,251 sq. 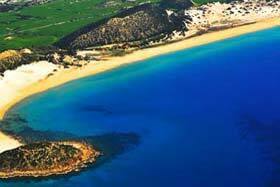 km, Cyprus is the third largest island in the Mediterranean after Sicily and Sardinia. It measures 240km east to west and 100km north to south. The centre of the island is dominated by the Troodos massive reaching a peak with Mount Olympus at 1952m. The winter months often see the peak covered with a good depth of snow. The geology of this mountain range has excited considerable interest over the years. 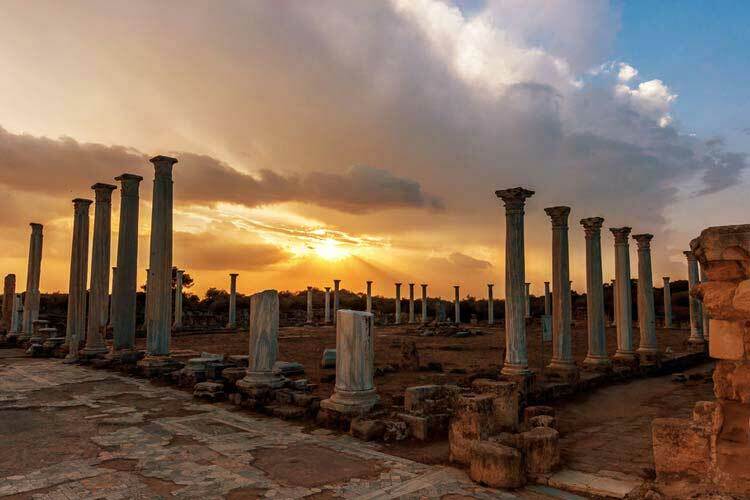 Cyprus was formed by the collision of the European and African tectonic plates and the igneous rocks of the Troodos mountains hold all the clues. 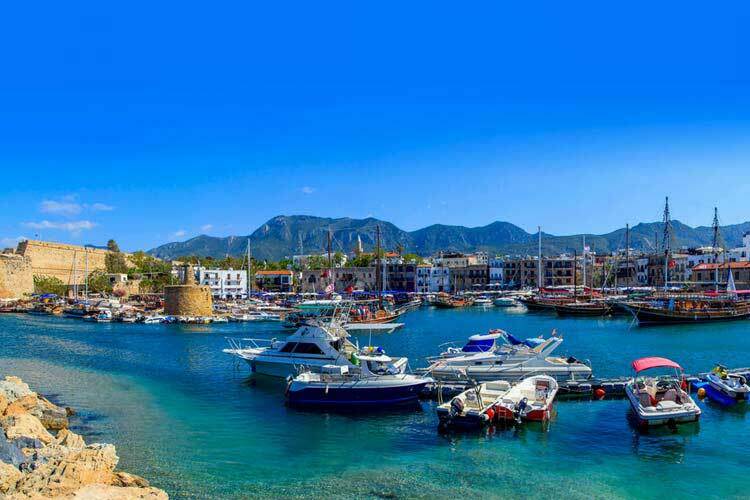 The Kyrenia range in the north, generally running parallel with the Turkish mainland, is totally different being composed largely of sedimentary limestones. 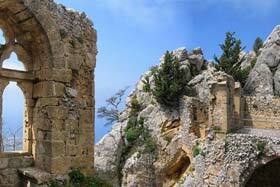 It is a much lower range of mountains with the peak, Sevili Tepe, reaching an altitude of 1024m. These mountains are more correctly known as the Besparmak (Five Fingers) mountains. 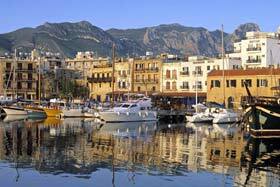 To the south of the Kyrenia mountains is the huge Mesaoria Plain, covering an area of 1000 sq.m. It was once a sea between the two mountain ranges until the seabed rose to form the island as it is now, about 1 million years ago. The average elevation is still only around 100 m. It is the breadbasket of the island but its productivity is limited by lack of water. Without significant rivers, it relies on winter rain and irrigation. There are some coastal plains which are better provided with water, particularly around Güzelyurt which is an important area for growing citrus fruit.